When it’s cold outside, nothing warms a body quicker than a toasty warm beverage. Bonus points if that beverage comes with a dipping cookie. 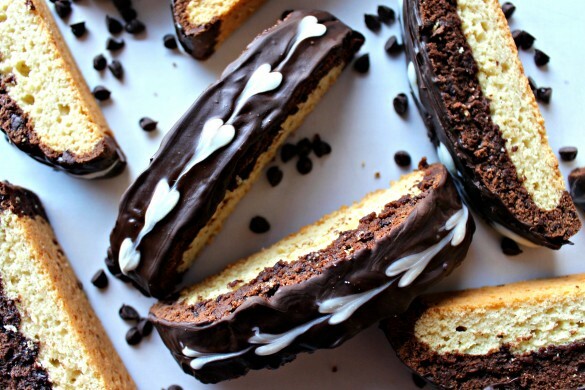 Biscotti have to be the world’s best, when it comes to dipping. Constructed to hold their shape and emerge from dunking only slightly softened, biscotti maintain a distinct crunch. 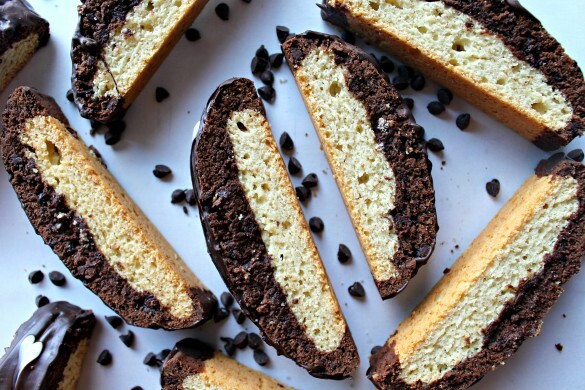 In the case of these Black and White Biscotti, the crunchy cookie is also a beauty, with both rich chocolate and fragrant vanilla layers. 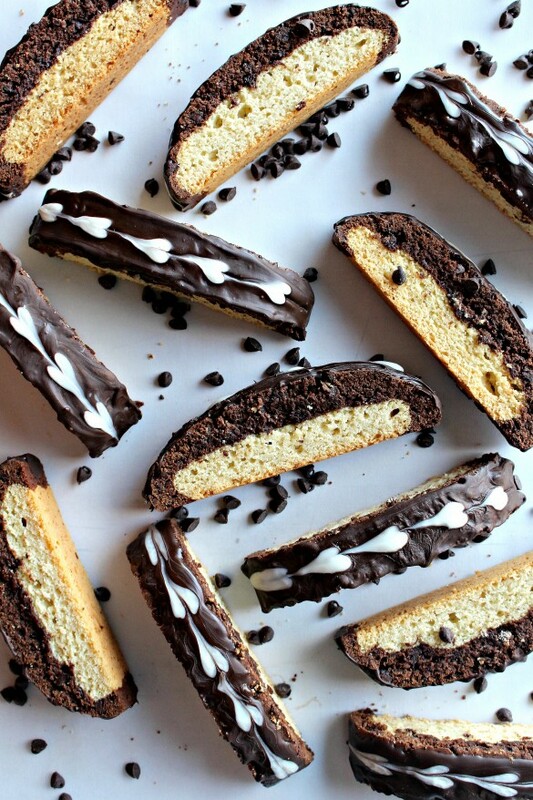 I made Black and White Biscotti for a new military care package recipient I am so excited to tell you about. The Monday Box was on a short break from military care packages after the wonderful news that Soldier B. had returned home. At the beginning of January, I decided it was time to get going again. This time, I wanted to be a part of an organization that works as a team to make sure as many troops as possible receive the care package support and encouragement they need. I didn’t want to waste time searching for new troops to “adopt” when I could be using that time to help with the long list of waiting military personnel. My friend Gina at Gina Left the Mall, has taught me so much about the wonderful impact care package support has on the morale of our military. She is my go-to source for military support ideas and inspiration. I decided to join Gina in becoming a part of Soldiers Angels. I applied and I’m delighted that my application was accepted! I’m now an official member of the Soldiers Angels Deployed Adoptions team! I may not have a halo, but I now have wings! I document my military care packages here on The Monday Box in the hopes that my care package themes and recipes might help or inspire those who are looking for ideas for their own military care packages. Though Black and White Biscotti were included in my 17th military care package, I still have lots to learn. Whenever I am able to get feedback from my troops, I write about what works and what doesn’t. After 16 care packages to ground troops in Afghanistan, I am taking on a new challenge. The next bunch of military care packages are going to the Navy AND my adopted sailor is female! At this point, I have no idea of Sailor J.’s flavor preferences or how long it takes for a care package to arrive. I also don’t know if the just-for-fun holiday decorations and knickknacks that I include in themed packages are usable in the tight quarters of a ship. Actually, I don’t even know if she is on a ship! Though no adopted service member is required to make contact with their “angel”, I hope I can have at least enough contact to make my care packages as appropriate and smile inducing as possible. When stored in an airtight container at room temperature, Black and White Biscotti stay fresh and crunchy for at least a month, making them ideal for filling the cookie jar and nibbling while waiting for spring to appear. That also makes them a GREAT care package cookie, especially when you don’t know how long a package might take to arrive. Black and White Biscotti fit well into the theme of my first Navy care package. Tune in to The Monday Box later this week to see the theme and the rest of the care package contents! In the bowl of an electric mixer, cream together butter, sugar, salt, vanilla, and baking powder. Gradually add the flour mixture until combined. The dough will be formed into two logs. For the vanilla biscotti layer, scoop one rounded cup of dough for each of logs, and place on the prepared baking sheet at least 4” apart. Form the dough into 2 logs, each about 14” long and 2” wide. If the dough is sticky, use damp fingers or a damp spatula shape the log. 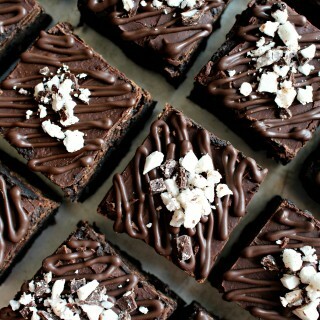 Place the baking sheet in the freezer while making the chocolate dough. For the chocolate layer, add the cocoa powder and espresso powder to the remaining dough in the mixing bowl and mix until combined. Fold in the chocolate chips. Divide the chocolate dough in half, one for each of the dough logs. Spread the chocolate dough over the tops and sides of the vanilla dough. If the dough is sticky, use damp fingers or a damp spatula for spreading. Bake for 25 minutes, then remove from the oven and allow to cool on the baking sheet for 15-20 minutes. . Reduce the oven temperature to 325°. 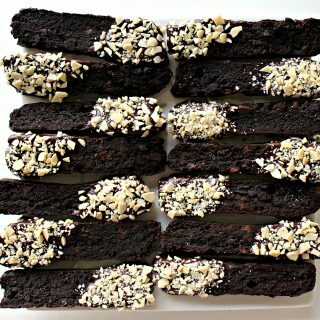 Once cooled, place the logs on a cutting board and use a serrated knife to cut the biscotti into ¾” slices (approximately 16 biscotti per log). Stand the biscotti back on the backing sheet with a small space between each. Return to the oven for 30-40 minutes or until just beginning to turn golden. Biscotti will continue to firm up as they cool. 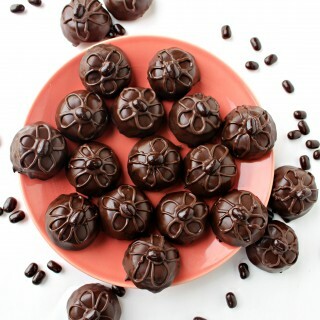 To decorate with dark and white chocolate: Place the melted dark chocolate in a ziplock or piping bag. 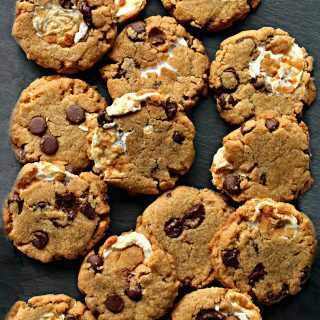 Place the melted white chocolate in another ziplock or piping bag. Cut off a tiny tip of each bag. 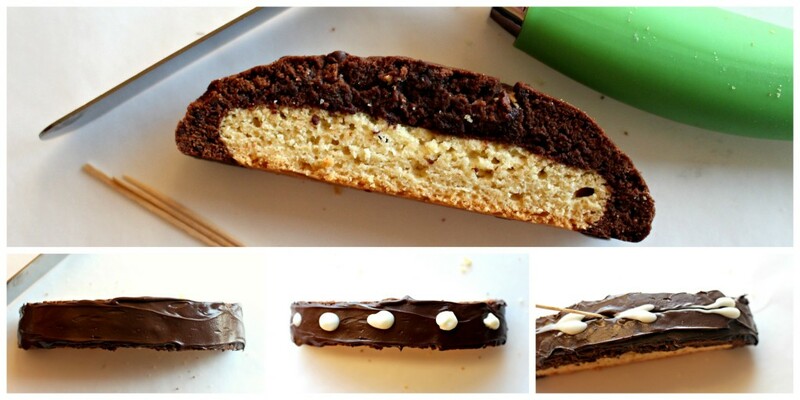 Pipe a stripe of dark chocolate over the top of a biscotti. Use a knife or spatula to spread the chocolate so that it covers the surface. Immediately, pipe five or six small dots of white chocolate down the length of the biscotti. Drag the tip of a toothpick, without lifting the tip, through the center of each dot to form hearts. Do not chocolate coat the biscotti if mailing to or from a hot location. Double wrap two or three biscotti in plastic wrap, cut sides together. Place bundles in an airtight container or ziplock bag. Wendy these biscotti are stunning!!! 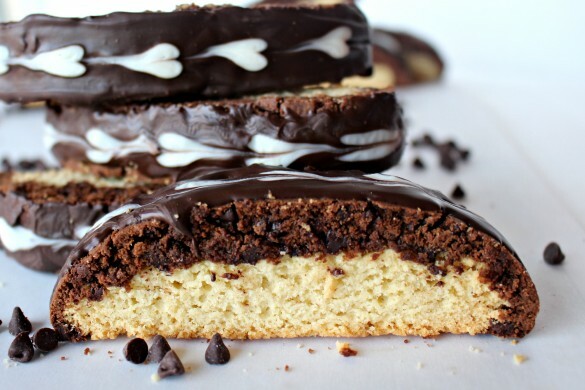 I’ve been baking up batches to send to my grandma every few months (she lovesss biscotti) – I need to make these for the next one! And how fun that you’re going to have a female sailor for the next round of packages! 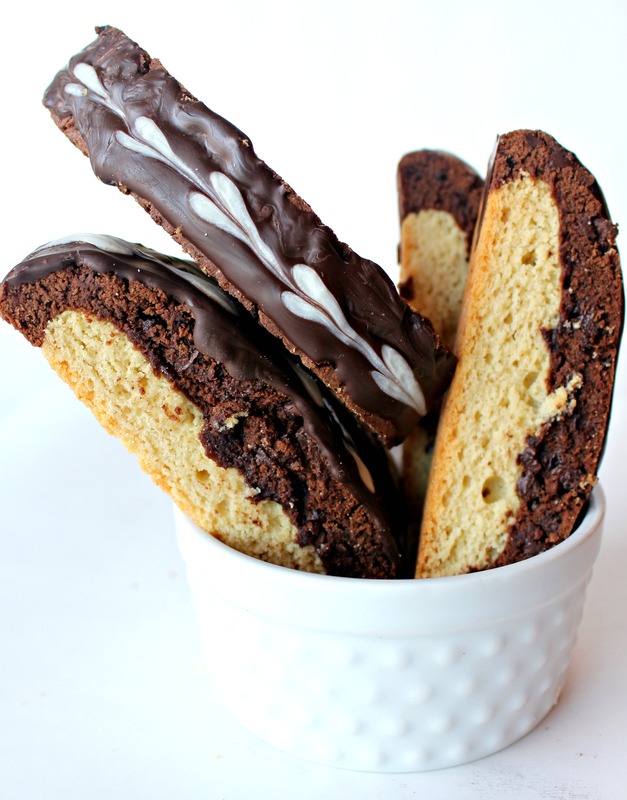 You are stealing my heart with this dual-tone biscotti, Wendy! It’s like the best of both worlds! They look amazing…and you are indeed an angel. I know you have put – and will continue to put – a big smile on many people’s faces. I know your sailor is going to love this and you! Thank you! Thank you, Monica! You are so sweet. I agree that these biscotti are the best of both worlds! You can have your chocolate and vanilla too. 🙂 I am excited about my newly “adopted” sailor, and I hope you are right about my care packages making her smile! 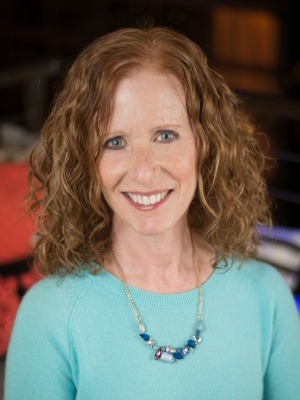 Wow Wendy – I love what you are doing for our military personnel. Good for you! 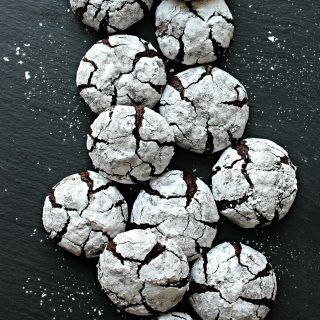 I think these must be the perfect cookie to ship and they are gorgeous! Thank you again – for the recipe and for caring enough to help others. Congratulations on the wings! Wendy, I just love the piped heart detail on these biscotti. They look so beautiful. Sailor “J” is very lucky to have you! This is indeed a gift of love. Thank you, Cindy! 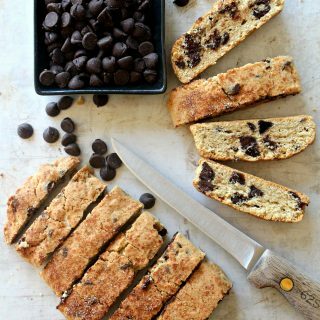 I love biscotti.I would be happy having nothing but biscotti and coffee for breakfast every day! For this care package I wanted the cookies to look as good as they taste. 🙂 I am honored to have the opportunity to share some home baked love to thank the service members who have chosen such a dangerous job! 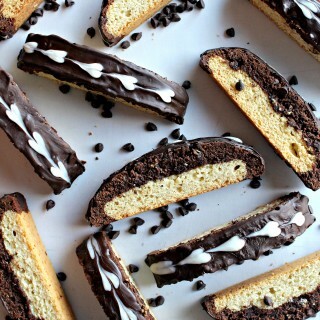 These have to be the prettiest biscotti I’ve ever seen! And the most delicious looking! I love that you made them black & white plus the heart decorations are so pretty. I’m sure Sailor J will love them! Thanks, Reeni! They are a tweaked King Arthur recipe (always a good start). They really taste as good as they look! I totally agree that a warm drink and a dunking cookie make cold days better! I love the fun detail on these cookies! And I think it is amazing what you are doing with the military care packages!!! Can you put peanut butter in the vanilla dough? If so, how much and do you reduce anything else?